Click the button below to add the Hair Detangler #Natural Detangler# to your wish list. Our Nutritive Hair Detangler will moisturize, detangle and tame dull, dry hair to make hair more manageable and easier to style. This luscious detangler is silicone free and will not cause buildup on the scalp or hair. This ultra-concentrated cream is made with herbal ingredients rich in vitamins, protein and antioxidants to make detangling a breeze and to replenish dry, damaged hair. Our creamy detangler can be used daily on both men and women. Your hair will be moisturized, thoroughly detangled, and smooth after the first use of this product. Enriched with pure ingredients and minerals to fortify and preserve hair from damage and breakage. Soften and smooths hair to tame and detangle the most parched of hair. Our Hair Detangler makes hair shiny and healthy. Broccoli Seed oil has Vitamin C and B6 that keep hair healthy and silky smooth. Daikon Radish Seed oil contains copper, magnesium, vitamin B6, calcium and riboflavin that assist in smoothing the hair cuticle. Shea Butter richly coats and protects hair from damage. 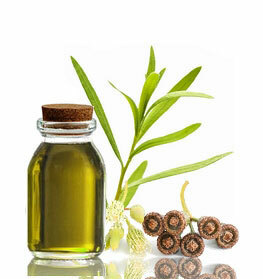 Meadowfoam Seed Oil conditions hair and fights the effects of dandruff. 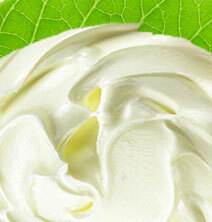 Mango Butter is a luxurious intensive moisturizer that makes weak, brittle hair soft and shiny. Start with shampoo and conditioner. Apply detangler at your roots and massage in. Use more depending on hair length. Comb through hair. Do not comb hair from root to the tip. Do not use a fine tooth comb. This can cause breakage. Do not try to comb through a tangle or braid. Try to unravel gently by hand. Try to finger detangle. Finger detangling is a gentle way that gets tangles out safely. Apply this product to damp or wet hair. Comb from ends up to the mid shaft. Use this product on children ages 5 and up. We suggest talking to a physician in regards to using the product on a child younger than the age of 5. Use a small amount of product if you have thin or fine hair. Let your hair air dry. This is the healthiest way to dry hair. Aloe Barbadensis (Aloe Vera Hydrosol), Brassica Oleracea Italica (Broccoli Seed) Oil, Raphanus Sativus (Daikon Radish Seed) Extract, Butyrospermum Parkii (Shea) Butter, Limnanthes Alba (Meadowfoam Seed) Oil, Theobroma Cacao (Cocoa) Butter, Vitis Vinifera (Grapeseed) Oil, Macadamia Integrifolia (Macadamia Nut) Oil, Mauritia Flexuosa (Buriti) Oil, Cocos Nucifera (Coconut) Oil, Simmondsia Chinensis (Jojoba) Oil, Mangifera Indica (Mango) Butter, Camellia Oleifera (Camellia Seed) Oil, Hydrolyzed Rice Protein, Vegetable Cetyl Alcohol, Sodium Lauroyl Lactylate, Glyceryl Stearate SE, Cetyl Alcohol, Cananga Odorata (Ylang Ylang) Oil, Lavandula Angustifolia (Lavender) Oil, Citrus Paradisi (Grapefruit) Oil, Citrus Sinensis (Orange) Peel Oil, Salvia Sclarea (Clary Sage) Oil, Helichrysum Gymnocephalum (Helichrysum) Oil, Anthemis Nobilis (Chamomile) Oil, Glyceryl Caprylate, Guar hydroxypropyltrimonium, Hydrolyzed Jojoba Protein, Phenethyl Alcohol, Calendula Officinalis(Calendula) Extract, Equisetum Arvense (Horsetail) Extract, Citric Acid, Panthenol (Vitamin B5). I love this product. It detangles my hair like a dream. My hair became so smooth and shiny. I did not lose any hair with this detangler. I will continue purchasing this product. I have natural hair, and this does magic to my hair. My hair was the softest its ever has been. I love that I can detangle my hair with such ease. I love that my hair looks better than I have ever had it before. My hair is long thick and frizzy. I have struggled with my hair ever since grade school. I have been using your Frizz Hair line of products, and I have been amazed how my hair has transformed from frizzy to sleek in an instant. I love your detangler and will continue purchasing them. Love the consistency of it. This detangler is great to use on all types of hair especially color-treated or processed hair. You do not need much of this product to work. This jar comes with a lot of product, which will last you a long time. I apply this on my damp hair, scrunch the product in and dry it with my diffuser. Once it's dry, my hair looks so bouncy and shiny. This item is great! It's one of the best leave in treatments that I've used. My hair is a caramel brown with strawberry blonde lowlights and platinum blonde highlights. I love this stuff. It doesn't leave a nasty residue, is supple, is not greasy and detangles my hair beautifully. This creamy detangler is fabulous for thick wavy or curly hair that tangles easily. I love having my hair braided but it was never easy to comb through certain sections of hair.I bought this product because of the good reviews it received. I really love how my comb and brush glides through my hair. This detangler prevents breakage completely and I see that my hair has grown substantially with it. Best product I've purchased. If you have long curly/wavy hair, this creamy detangler is what you need in your routine. I have waist length curly hair that is on the fine side that gets easily tangled. I would have twist my hair after combing it to prevent matted hair. This cream is a miracle in a jar. I use a generous amount of this product to my hair and use a seamless comb. I get results from with this detangler every single time. Used it on my 3 1/2 yr old granddaughter's long. thick hair. Her mom just delivered a newborn & just haven't felt up to the task to comb her hair everyday. Consequently, by the time I got her, it was pretty rough. But, armed with this product, I was able give my granddaughter a hair-do that she loved without the problems I had expected. I'm giving this product to my daughter; she had another baby girl. She's gonna need it! I have struggled for many years with my mixed daughter and her hair. Her curls are so tight and the tangles were so bad at one point I thought I might have to cut them out. I purchased the Hair Detangler in a last ditch effort. Nothing else worked in my daughters hair! I was pleasantly surprised! Here hair has never been better. I can not live without this stuff! Amazing! Just received this detangler two days ago and I love much moisture, shine and Softness it gives my hair would purchase again..and it works in my thick hair as well as my daughter fine hair.. This is my favorite product from Just Nutritive. Not only does it detangle my naturally curly hair, but it also keeps it frizz free all day long. So I really love this product. Just Nutritive really made a great one. The herbal ingredients make this great. Now I’ve always had tangly unmanageable hair. This was a concern and was so painful where I never wanted to comb my hair. After 2 weeks of applying daily I have noticed my hair becoming more manageable and looking better. Now just make sure use watch how much you use. If you use to much if will feel heavy and greasy. Having wavy tangled hair is a pain to comb through as many women know. In one week I noticed how it really did let the tangles out. My hair feels smoother and just vibrant. Price is not to bad wish it was cheaper. I decided to give this a shot. I have very very tangly hair that takes over a half hour to comb through each day. Using this has changed my life. I feel less stress because I can easily manage my hair now. Only thing I noticed is that is can make your hair feel quite oily if you apply to much. I use to be completely against “natural” products. I absolutely cannot live without this product. This has moisturized my hair and has made it much easier to manage on a daily basis. So happy I was able to find this product. I highly recommend to people with tangled, dry, and frizzy hair. Thanks Just Nutritive for this. This product is the truth. I have very thick hair from root to tip and using a comb at times can be painful. Since using this I quickly have noticed the difference in how much easier it is to comb my hair. When I separate my hair into sections and apply the product I can come through it fairly easy without any pain. My hair feels softer than ever before!